Eno’s Fruit Salts became one of the best known branded medicines in the world. James Crossley Eno (1827 – 1915) served as an apprentice chemist before opening a small shop of his own on Groat Market in Newcastle upon Tyne. Eno’s Fruit Salts were being marketed by 1874. 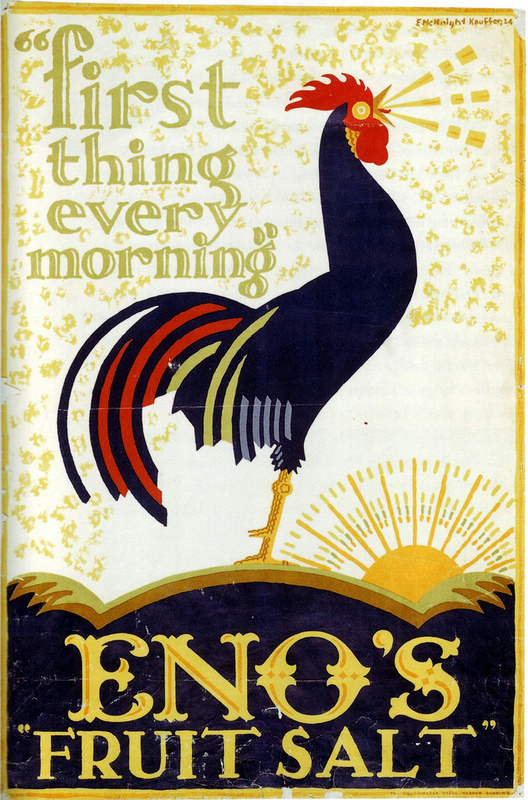 First developed for hungover sailors, Eno’s Fruit Salts were sold as an indigestion remedy. The sailors helped to establish the reputation of the product overseas. Eno soon found himself unable to meet increasing demand for his product, and left Newcastle to establish a factory at New Cross, London, in 1876. The business employed 50 people by 1884. Eno’s Fruit Salts consisted of sodium bicarbonate, tartaric acid and citric acid, according to a 1903 analysis for the British Medical Journal. Harold F Ritchie (1881 – 1933) of Toronto was the agent for sales in Canada from 1907. J C Eno died in 1915. His estate had a gross value of £1.6 million. The business was acquired by Harold F Ritchie for a reported £1.5 million in 1928. Eno Proprietaries Limited had a paid-up share capital of £2 million in 1934. Eno’s Fruit Salts had become one of the best known proprietary medicines in the world. The product was sold in 83 countries. It was advertised in 73 countries using 26 different languages. The principal factory was in London, but there were two large factories in North America, and nine smaller factories across the rest of the world. Eno Proprietaries was acquired by Beecham for £1 million in 1938. Eno’s Fruit Salts remained a major Beecham product as late as the 1970s. Now owned by GlaxoSmithKline, Eno is still widely sold across the world as an antacid for the relief of indigestion. Latin America and Asia are its largest markets.